Yahoo has been much ignored by the media and Wall Street which seems to favor Microsoft, Apple, Google and Facebook among others. But I am here to tell you that techies are expecting big things from Yahoo in 2013. Yahoo was also negatively impacted after the Google earnings report and its stock shed 1.5 percent. This was still a far cry from the 8 percent that Google stock shed. This post comes at a time when the Internet company is due to release its Q3 earnings after the stock market closes on Monday. 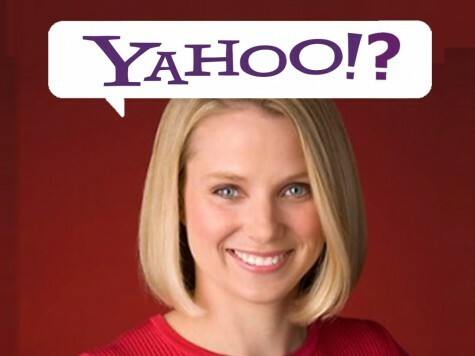 Yahoo's most impressive move for me personally was the hiring of Marissa Mayer as President and CEO. She was a big talent at Google and also a Stanford grad. However, she has had her first child and investors are worried that this could impact her performance. I doubt it will! Still, she has managed to hire Henrique de Castro (former top advertising executive at Google) to be Yahoo's COO starting from early next year. Yahoo is going to be spending top dollar on its employees and it hopes to follow a strategy similar to Google. The company stock has not been doing well and this could be attributed to Yahoo not being bought by Microsoft back in 2008 for $47.5 billion. Yahoo has 700 million monthly visitors and it will need to step up its game in the online ad revenues which it is losing to Google and Facebook. Yahoo really doesn't have to change much. It has a pile of cash and $5 billion in annual revenue. Moreover, the Internet company has almost no debt. So all Yahoo has to do are some minor cosmetic changes and for its products and services to have better focus. I am pretty bullish about Yahoo stock in 2013 and this is definitely a good time to buy. The Internet giant has also seen significant growth in Yahoo Japan which is co-owned with Softbank Corp.